In early October, heavy rainfall from two low pressure systems led to devastating flash floods and landslides in El Salvador. As rivers burst their banks, mudslides in the country’s hilly interior cut roads, buried buildings, and flooded homes forcing more than a 1000 people to leave their homes for temporary shelter in schools. The Start Fund, responded immediately, awarding £199,259 to Pro Vida and World Vision to undertake a rapid emergency intervention in affected areas of Ahuachapán Department, Sonsonate Department and Usulután Department where they have a long-established presence and trust of the community. With their crop washed and land flooded, many families - whose main source of livelihood is agriculture - are struggling with very little or nothing to survive on. Already incredibly vulnerable to food insecurity, unsanitary conditions including inadequate toilets and limited clean water within temporary shelter is exacerbating poor health leading to illness, respiratory disease and acute water diarrhoea. Both Pro Vida and World Vision are responding in the worst affected areas, providing affected families with essential items, food and healthcare. With good community relations and great local awareness, Pro Vida have distributed hygiene kits and food items to affected families within shelters. Their response focuses on access to clean water and treatment to latrines of flooded households; ensuring returning families are able to use sanitised latrines and gain access to clean water within their homes giving them the best possible chance to prevent any disease outbreak. Within the first week of being awarded funding for a rapid response, Pro Vida had carried out sanitary inspections of 188 dry pit and family latrines. Over the past four years, the Start Fund has responded to two previous crises in El Salvador. The Start Fund provides rapid financing to underfunded small to medium scale crises, spikes in chronic humanitarian crises, and to act in anticipation of impending crises, filling a critical gap in humanitarian financing. Recognising women are incredibly marginalised and vulnerable within the affected communities and also regarded as responsible for the health care of their families; they are receiving special attention during Pro Vida’s outreach activities to ensure they are empowered with the right information to protect themselves and their families. 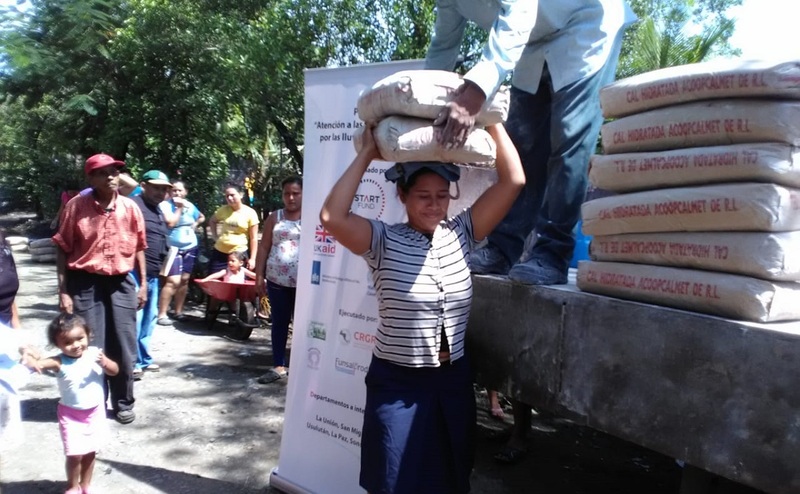 The response to flooding in El Salvador by World Vision and Pro Vida continues. Read more about Start Fund alert 270, flooding in El Salvador.